3. Georgia — Bankruptcy filings declined by 4 percent last year to 49,334 or 5.02 filings per 1,000 residents. The number of Chattanoogans going broke fell for the sixth consecutive year in 2015 as consumers capitalized on the growing economy, cheaper gas prices and historically low interest rates to improve their financial status. But the drop in local bankruptcy filings last year was far less than the nationwide decline, helping to keep Tennessee as the top state for the rate of bankruptcies again in 2015. "Bankruptcy filings rose to very high levels during the Great Recession, but we've seen filings go down in recent years as the economy improves," said Larry Ahern, a bankruptcy attorney and consultant for more than four decades and an adjunct professor of law at Vanderbilt University in Nashville. "Creditors and consumers have been more cautious about their debt levels at the same time as property values and workers' income have been going up. Bankruptcy filings tend to mirror the overall economy." 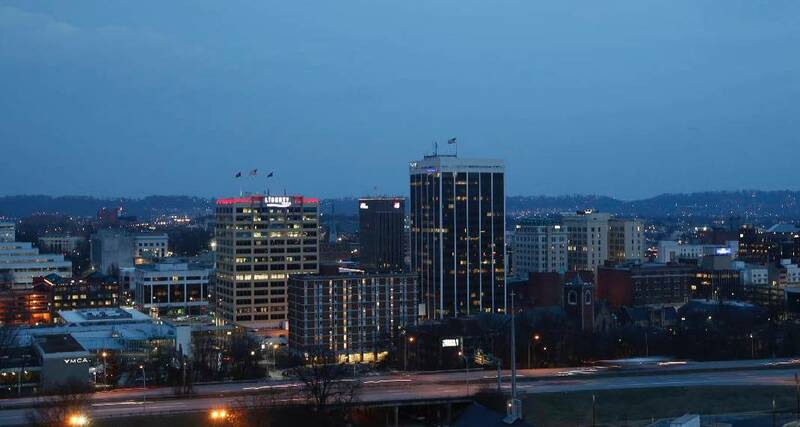 In Chattanooga, bankruptcy filings last year were down 2.3 percent from the previous year and were one third below the peak level reached at the depths of the recession in 2009. Nationwide, bankruptcy filings dropped more sharply, declining 10 percent last year to the lowest level since 2006. Last year was one of the lowest years for bankruptcy filings in the U.S. in the past 25 years. But bankruptcy experts say filings could trend up again in 2016 as consumers take on more debt and home purchases, interest rates are pushed higher by the Federal Reserve and more people get jobs again and have enough money to file for court protection under the bankruptcy code. Samuel J. Gerdano, executive director for the American Bankruptcy Institute, said the overall drop in filings in 2015 came despite a slight increase in Chapter 11 filings by businesses during 2015. But Gerdano warned that the prospect of higher interest rates by the Federal Reserve Bank in the new year could reverse the decline in those seeking debt relief with the help of the bankruptcy court. "As interest rates increase the cost of borrowing, more debt-burdened consumers and businesses may turn to the financial fresh start of the Bankruptcy Code in 2016," he said. Ahern also noted that the growing volume of student debt, now totaling more than $1 trillion, could also generate more debt problems in coming years, although student loans are exempt from bankruptcy protection. "In some ways, the student loan crisis resembles what we saw in the mortgage lending industry before the Great Recession," said Melissa Jacoby, a professor of law at the University of North Carolina at Chapel Hill and a resident scholar this year at the American Bankruptcy Institute. Jacoby said she expects bankruptcy filings will edge higher this year. But ahead of such concerns last year, bankruptcy filings in the United States fell 10 percent to a total 819,240 — the lowest number in nine years, according to data compiled by Epiq Systems, Inc. The average per capita bankruptcy filing rate across the country decreased last year to 2.63 filings per 1,000 per population. But Tennessee's rate of bankruptcy filings was more than twice the national average and the highest of all 50 states last year. In 2015, there were 5.73 filings per 1,000 residents in Tennessee. Alabama and Georgia ranked second and third, respectively, in the share of people going broke in 2015. Ahern and Jacoby said bankruptcy filings tend to be higher in Tennessee and other states where creditors have an easier time foreclosing on property or garnishing wages to collect on unpaid debts. In Tennessee, Georgia and Alabama, creditors usually don't have to get a court order or have a judicial hearing before staking their claims on property or wages as creditors have to do in many other states. To avoid foreclosures or wage garnishments, many consumers opt to file for bankruptcy and work out their debt repayment through the bankruptcy court. Many of those bankruptcies are Chapter 13 filings in which debtors repay some or all of their debts under a debt reorganization plan. In other states, a higher share of those filing for bankruptcy are Chapter 7 filings in which debtors simply liquidate what assets they have before getting a fresh start coming out of bankruptcy. Last year, more than 60 percent of all bankruptcy filings in Chattanooga were Chapter 13 petitions in which consumers worked out repayment plans under court supervision, according to year-end reports by the Eastern Tennessee U.S. Bankruptcy Court. The share of persons seeking to reorganize their debts under a Chapter 13 filing, rather than liquidate their assets to pay their debts in a Chapter 7 proceeding, is twice as high in Chattanooga as the country as a whole. "Tennessee has had a long tradition of a strong Chapter 13 filing trend going back to the late Judge (Ralph) Kelley in Chattanooga," Ahern said. "So while bankruptcy rates are higher in Tennessee, a bigger share of cases are Chapter 13 reorganization plans and that tends to recover more over time for creditors."